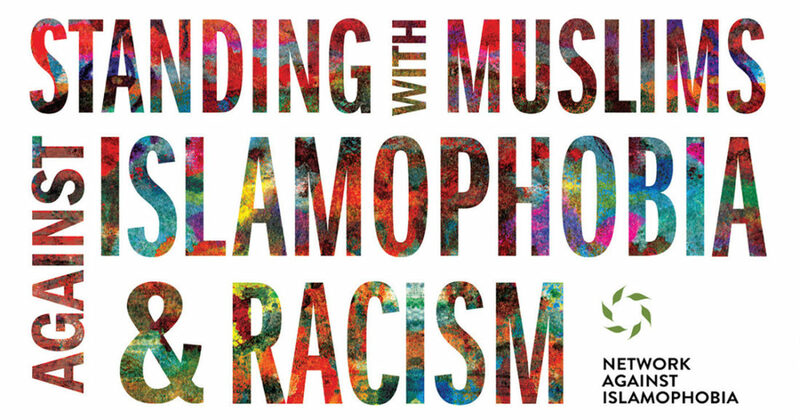 The Network Against Islamophobia (NAI), a project of Jewish Voice for Peace, was created to serve as a resource to, and work with, JVP chapters and other groups interested in organizing against Islamophobia and anti-Arab racism and to be a partner to the broader, Muslim-led movement against Islamophobia. NAI facilitates online resource-sharing of FAQs, public letters, press statements, articles, and other materials.NAI has also developed curricula and resources for those interested in holding community workshops and in becoming more knowledgeable, effective, and principled in NAI’s work. NAI also works with JVP chapters. One recent collaboration between NAI and the chapters was a nationwide canvassing. 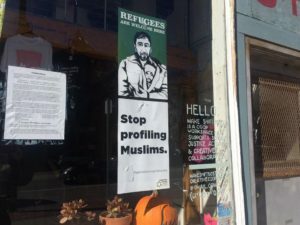 The chapters went around to different businesses and residents asking them to display NAI posters that reads “Stop Profiling Muslims” or “Refugees Are Welcome Here”. 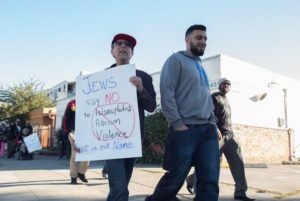 Over the past year, the Pittsburgh’s Jewish Voice for Peace chapter has been working with NAI on canvassing and other efforts to end Islamophobia. 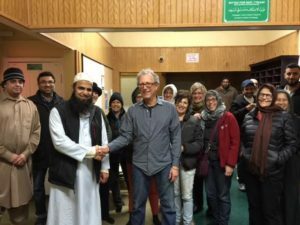 The Pittsburgh JVP partnered with the Islamic Center of Pittsburgh on several events. 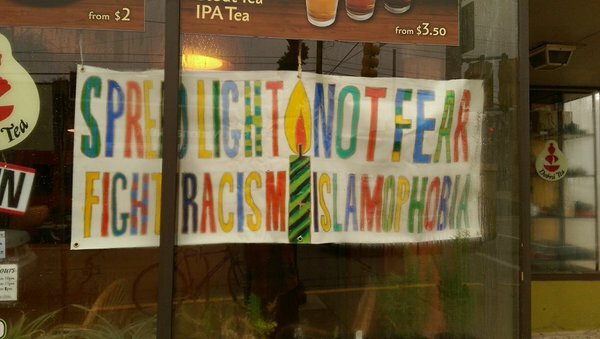 One big event was their “Spread Light, Not Fear, Fight Islamophobia and Racism” Hannukah Party. 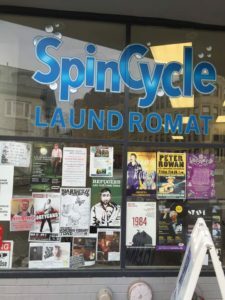 At this event, the group launched the #SpreadLIghtPgh campaign. Another part of this campaign was a Salon the group helped hold in a local tea house. 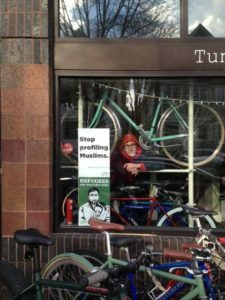 JVP member, Daniel Klein, reflected on the event: “The outreach coordinator from the Islamic Center came with a few other Muslim members of the community and we had an intimate discussion with about a dozen others about Islamophobia in our communities and other types of racism and prejudice”. 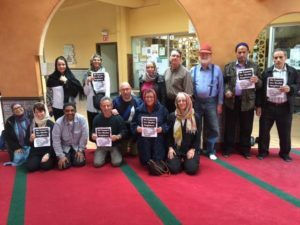 The Islamic Center of Pittsburgh held a Humanity Day Banquet and the Pittsburgh chapter was presented with an award for their efforts.The Thomas Merton Center for Peace and Justice, a Pittsburgh nonprofit, also received an award. 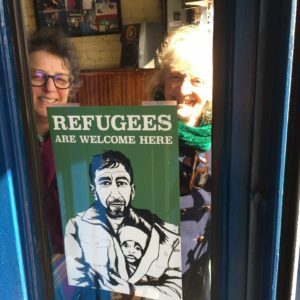 Pittsburgh’s chapter has partnered with the Thomas Merton Center to hold additional canvassing events this spring and summer. JVP’s San Diego chapter has also been working on NAI projects. 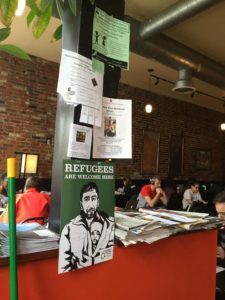 The chapter canvassed with “Refugees are Welcome Here” and “Oppose Islamophobia” posters around the San Diego area. In response to this action, the San Diego chapter was offered a new meeting space. People Assisting New Americans offered the group the opportunity to hold meetings in their space. 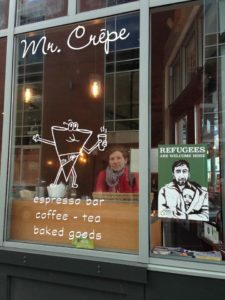 This new meeting space opens opportunities for San Diego JVP to continue their NAI work. 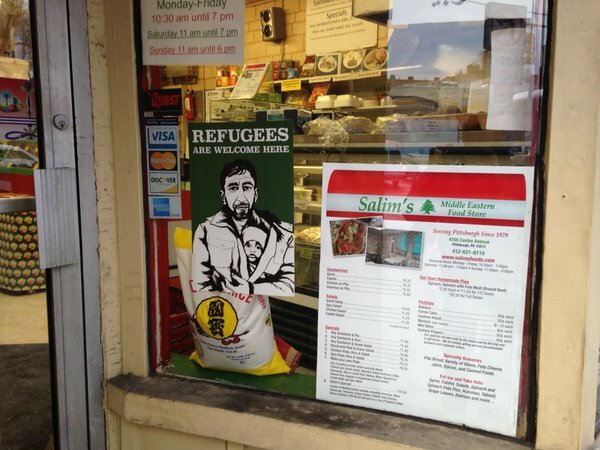 Boston’s Jewish Voice for Peace chapter distributed 300 posters to businesses in the Boston Area. The posters were displayed at business, churches, and on campuses. The visibility of NAI’s posters were great conversation starters in the businesses for employees and patrons. 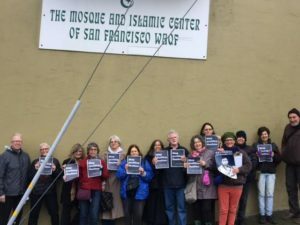 JVPers in the Bay Area chapter visited 3 mosques in San Francisco. These visits opened an opportunity to attend prayer at the mosque and talk about canvassing in neighborhoods around the mosque. The chapter also attended lunch with the Imam and was able to have more in-depth discussions about opposing Islamophobia and racism. The Imam was so generous that JVP Bay Area wanted to contribute to the mosque. They raised money and donated it to the mosque’s youth program. 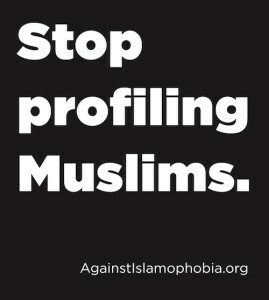 Canvassing is just part of the efforts that NAI has to oppose Islamophobia. NAI has also developed a curriculum that will allow chapters and other interested groups to lead a workshop composed of two, 2-hour sessions. These workshops will allow groups to discuss what Islamophobia is, its relationship to Israel, its presence in our communities, and how we can organize against it.